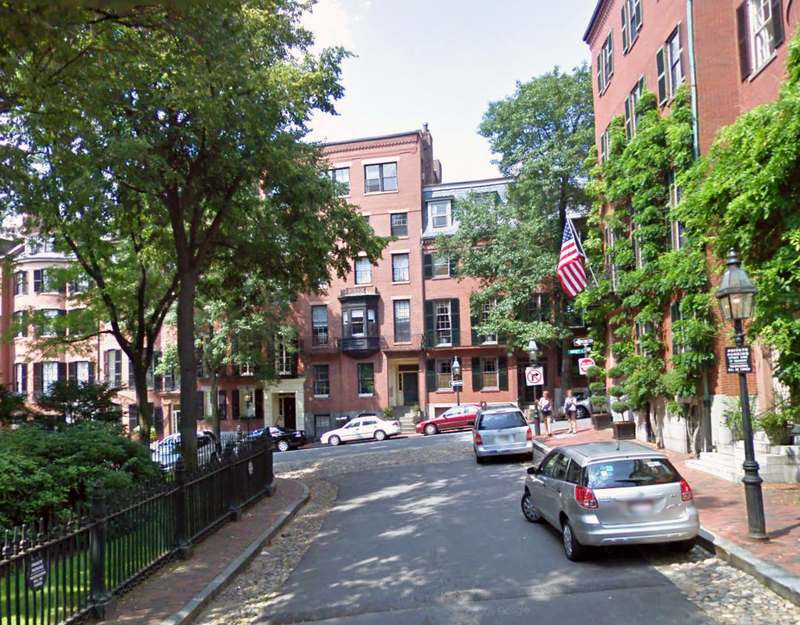 Boston, with 53 units per acre of pure character and almost nothing over 4 stories. Image from Google Maps via Placemakers. It’s no secret that the cost to buy or rent a home in the Bay Area is extremely high and rising. Thanks to a regional economic rebound and renewed interest in the kind of walkable living that defines San Francisco, demand for Bay Area housing is at a high. Unfortunately, this means that only the most privileged can afford to purchase a home in our inner-ring suburbs. Blue collar workers, service workers, and young professionals making less than astronomical sums are having an increasingly difficult time finding homes they can buy or even apartments they can rent. And so a debate over how to accommodate affordable housing swirls around every planning meeting and town council election. Advocates rally behind nonprofit housing and the state’s regional housing needs assessment (RHNA) process, which assigns each municipality and county a certain number of units they must accommodate. Others, especially in Marin, say cities and counties are managing their affairs just fine and resent anything that could be construed as meddling from Sacramento or ABAG. Yet both perspectives neglect the economic underpinnings of our housing cost. Fundamentally, we have a shortage of housing for any income. Until either side begins to address this fact, we’ll continue to face deadlock and continuing cost escalation. Our housing shortage isn’t everywhere. Stockton and Vallejo can attest to that. Rather, the cost hikes have been in the walkable areas that have come into vogue over the past 10 years. Downtowns both large (San Francisco, San Jose, Oakland) and small (San Rafael, Napa) have seen their prices rise since the end of the recession. While some of the demand in the big cities may come from name recognition, the principal reason for the price spike is that the supply of housing in walkable neighborhoods has not grown with demand for it. We have a classic housing shortage, and the only way out is to boost supply of walkable housing for all incomes, from luxury to low-income, by making it profitable to build such housing. To some, this will sound like nonsense. We need affordable housing, not luxury housing. But the theory that increasing supply will stabilize prices has been borne out in at least one market. Washington, DC, has seen a massive population boom. Since 2000, it has grown by nearly 10 percent, and now is adding 1,300 new residents every month. Though housing costs have increased (partly due to a lack of financing in 2007-2008 and partly due to a lag between demand for apartments and their completion), this year they are expected to be stable despite the continuing influx of people. Regionally, nearly 40,000 apartments are coming online in the next year, with another 30,000 the following year. No government program could have forced such broad rent stabilization without direct price controls. Next year’s stable rents will only have come about because the region’s governments have worked with demand rather than against it. In the central city, DC is working on a revised zoning code that will promote high- and moderate-density walkable living. In the suburbs, counties are converting drivable retail centers into walkable mixed-use areas, sometimes far from the Metro rail system, relieving some of the demand in the central city. The Bay Area could join DC and stabilize its housing market only by stepping back from the dysfunctional No Development vs. Affordable Housing debate. We must boost the supply of housing for all incomes or we’ll never get a handle on the problem. Bay Area developers face a potent mix of restrictive zoning and anti-developer sentiment. We fear that any changes to our much-beloved downtowns will destroy their character, and that rapacious developers just won’t care. Arguably, they didn’t care in the 1950s or 1960s. Ugly concrete replaced beautiful Victorian. Grassy hills became rolling tract homes. Governments helped by marking poor neighborhoods “obsolete” and tagging for them for demolition. The laws put in place to stop this kind of idiocy worked, and developers now try to work within a city’s character rather than against it. Developers now face strict design review to ensure developments work with local character and architecture, or are built on characterless strip malls and dead zones. Still, some of those laws hold back development to an undue degree. Take density limits, put in place to maintain neighborhood character. These ensure that only, say, 30 units per acre can be built in a given acre. While that seems like plenty of density, they encourage the largest units instead of the most rentable mix of units. A developer can’t charge as much for a studio apartment as he can for a two-bedroom, but since both count as a “unit” he’ll build a bunch of two-bedrooms. In Marin, this has meant continuing undersupply of studios and a rent hike of 14 percent since 2011. Other constraints, such as parking minimums and inclusionary zoning, squeeze even more money from a project, rendering small infill developments unprofitable and impossible. Cities should reform their zoning codes to make attractive and character-rich development profitable again. Density could be substituted with height limits, which would allow cities to keep a low-rise or mid-rise character while also adding housing units. Parking minimums, too, should be abolished in favor of alternative means of transportation and neighborhood parking plans. Even in large cities, this will encourage dense development beyond BART stations. Though BART-oriented development is useful, there aren’t enough BART stations to make much of a dent in the housing supply. More importantly, these developments are often islands of walkability in a pedestrian-hostile sea if infill development is restricted to the BART station. Real cities are integrated fabrics, with buses, walking, and biking dominating short trips. Most of the walkable centers in the region follow this pattern and aren’t anywhere near rail transit. There’s no reason not to expand those town centers into the retail strips that dot the region or the vast office parks that dominate swathes of the East and South Bay. Matthew Yglesias has written extensively about the need for infill development and upzoning. It is simply not tenable to prevent first-wave development from being redeveloped. Our land is simply too valuable to remain parking lots for offices and strip malls. If the Bay Area is serious about affordable housing, its governments must tackle laws that keep supply from catching up with demand. We cannot rely upon nonprofits or government largesse to solve this economic problem effectively, nor can we freeze our cities and rents and call it a day. Only the market can fix the market. The blog Sightline Daily has an 11-part series on legalizing real affordable housing, from zoning to density to rooming houses. It should be required reading for anyone involved in affordable housing policy.